Professor Eldad Tzahor, Director of the Cellular and Molecular Biology Laboratory at the Weizmann Institute of Science, in Rehovo (Israel). 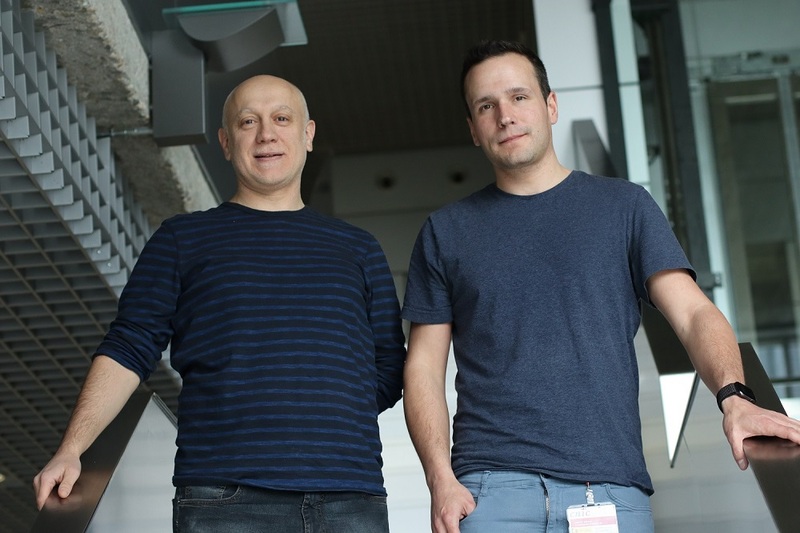 Eldad Tzahor’s team centers its research on studying innovative mechanisms of cardiac regeneration and repair after an injury, a major challenge in current biomedical research. 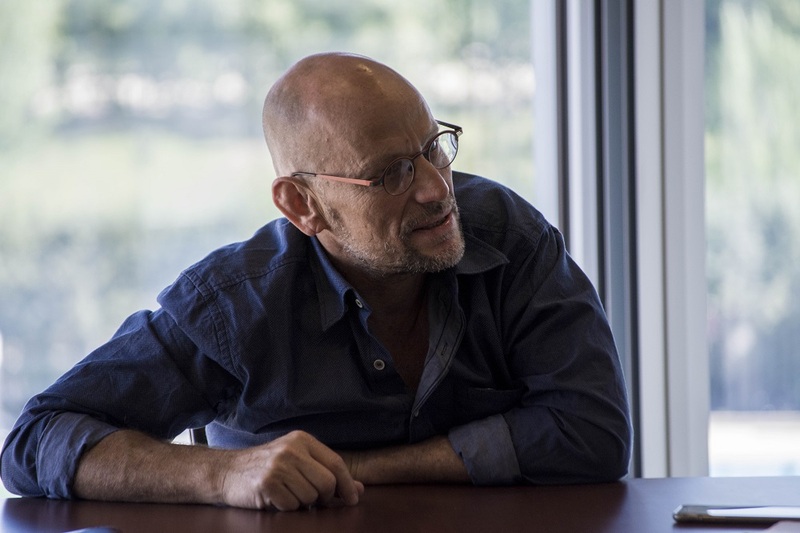 His laboratory of Cellular and Molecular Biology at the Weizmann Institute of Science, in Rehovo (Israel), combines innovative approaches to study cardiac regeneration in mammals, such as the role of the signaling pathway NRG1-ErbB2. In addition, they research the cardiac microenvironment as a means to improve the regenerative capacity of the heart and are manipulating the biophysical properties of the cardiac microenvironment (for example, the rigidity of the matrix) and its biochemical entities in search of conditions that facilitate cardiac repair mechanisms. Furthermore, they have also discovered that the Agrin protein can induce the regeneration of the heart of mammals, so it could have a great therapeutic potential for the treatment of ischemic heart disease. Their current studies examine the therapeutic effects of Agrin, whose administration in the injured heart of pigs causes a significant regenerative response. These findings will have implications for the improvement of current strategies to treat heart disease in humans. Professor Eldad Tzahor gave the Seminar "Novel strategies for cardiac regeneration in mammals" at the CNIC invited by Dr. Miguel Torres. What is the current status of research in cardiac regeneration? An important change is taking place. Years ago we could hardly think that it was possible to regenerate the heart after an injury; regenerating the cardiomyocytes was something unimaginable, especially after a myocardial infarction. But the work of my laboratory and that of others has shown that it really is not like that; yes, it is possible to reverse this fatal situation. How? We know that cardiac cells can be renewed and these, in turn, regenerate the heart. Currently we are working on two possible ways to regenerate the heart: Agrin and ErBB2 approaches. The heart does not have the capacity to regenerate itself, but it is possible to cultivate stem cells in the laboratory, promote their differentiation from cardiac stem cells and transfuse them to the heart so that they integrate with the existing cardiomyocytes and "fill in" the cardiac injury and thus regenerate the tissue and reverse the damage. But stem cell therapy for cardiac regeneration is still quite controversial. Many researchers affirm that it is a real alternative, but, in my opinion, I think it is necessary to look for other solutions. The reason that this therapy does not work as expected is that the cells, the transplanted ones and those of the patient, do not 'speak' the same language. In addition, the microenvironment in which they are transplanted, that is, the damaged heart, is a very toxic environment for the cells, which hinders their integration, and many of them end up dying. Only a few survive, so the cardiac function hardly improves. So, what would be a more effective approach? 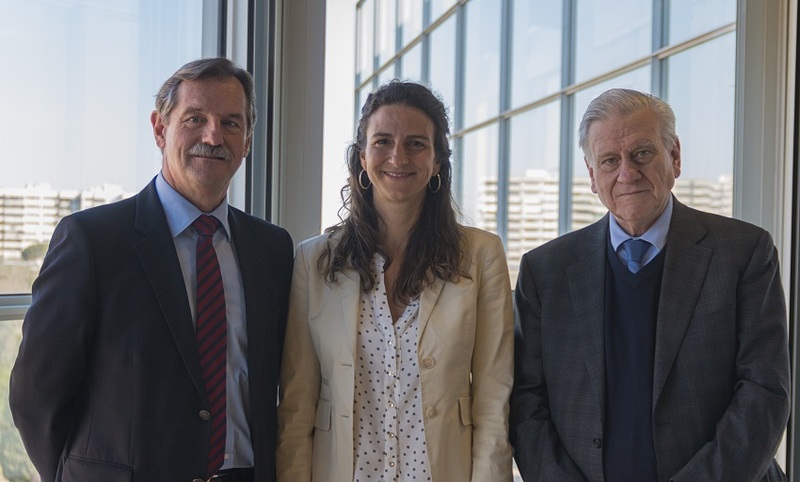 My idea is directed more towards the field of embryogenesis and the biology of development, areas in which Miguel Torres and Nadia Mercader of the CNIC also work, who investigate the formation of the heart during the embryonic phase. And we also rely on the evolution itself. If we take the example of the zebrafish, we have seen that they are able to renew their heart after cardiac damage after two months. Some amphibians, like the salamander, also maintain this capacity, but the human being, we do not know why, has lost it. Or not? In the embryonic stages, and in neonates, the ability to regenerate the heart is maintained. 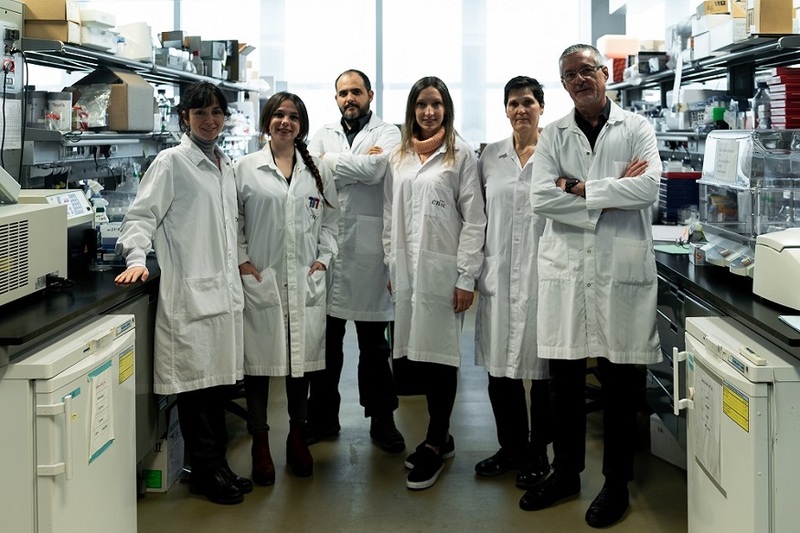 The line of research that we are developing in my laboratory is aimed at identifying these signaling pathways in the heart of young mammals and how we can activate them in the adult phases so that they reactivate the regeneration of cardiomyocytes and repair mechanisms. That is, teach the adult heart to repair itself. In some way, by having the same capacity as it did when it was young. How are you researching this? My laboratory has identified two new models of cardiac regeneration, one of which has already allowed the design of a treatment that is expected to be in clinical trials in humans in two years. In fact, we are finalizing the tests on animals and the results are very encouraging. Essentially, we have understood that it is possible to reactivate the signs of heart repair, something that was unthinkable 10 years ago. What are those two lines of research that you are referring to? One of them is related to extracellular matrix proteins, a component that acts as cellular glue. We have analyzed these particles in newborn mice and compared them with those in the 1-week-old animals, which are unable to regenerate their heart. And that’s how we have identified the Agrin protein, which was known to be related to neuromuscular connections - but not in the heart - that is present in newborn mice, but whose expression decreases in 1-week-old mice. And when we injected Agrin into the one-week-old mice that we had induced a cardiac injury, we saw that they were able to regenerate their heart. Now we are doing studies in pigs. A simple injection of Agrin manages to regenerate heart functions, reduce scars, etc. We are looking forward to the clinical phase in humans. The second model is even more interesting, although I have more doubts about its transfer to clinical practice. The idea is, in some way, to analyze what has happened so that the cardiomyocytes lose the ability to regenerate. And we are seeing that the cardiomyocytes of mice that are just one-week old have lost the ERBB2 receptor, which is involved in heart growth. These molecules transmit a signal to cells, but have the drawback that they are associated with tumor development. We have proved that we can activate ERBB2 genetically only in cardiomyocytes. The problem is that due to this activation, the heart produces too many cells and can 'break' causing the death of the mice. But when we activated ERBB2 for only two weeks in mice with heart injuries, we have seen that the heart regenerates. It’s magical! A complete regeneration of the heart occurs. Now we are working on a model of chronic insufficiency and we have verified that the activation of this receptor in the cardiomyocytes, only during two weeks, produced a new heart. A year ago we would never have believed it! We are very hopeful with this model because we believe that we have discovered the recipe to create a new heart. We hope to activate these molecules in humans. And how do your resolve the risk of developing cancer? We have to be very careful with this. We are talking about genetically manipulating all cardiomyocytes. You have to define the period during which the ERBB2 receivers should be activated. However, I am going to say something that may sound politically incorrect. In the same way that in some cases of cancer without therapeutic options high risk therapies are considered, the same can happen with the use of this therapy in patients with heart disease in which there is no other solution. Maybe it’s a risk that would be worth taking. Activate the receiver for a week, 10 days or whatever is necessary, to regenerate the heart. And yes, only in very distinct patients whose problem would only be resolved with a transplant because, otherwise, they would die. Could your research lead to a new scenario in cardiac regeneration? We are already in a new scenario, but especially in heart failure. A year ago nobody could imagine it, but here we are. In mice we have been able to completely reverse heart failure and we are starting trials in pigs. It is certainly a new era in cardiac regeneration. Are you collaborating with the CNIC in this field? We are creating a network with Miguel [Torres] and Nadia [Mercader] and researchers in Italy and the United Kingdom to expand on mechanisms of endogenous regeneration. That is, teach the heart to regenerate itself through the reactivation of these mechanisms. I'm really optimistic with this line of network collaboration work. Sharing experience and knowledge is the best way to move forward. How important is mentoring in the career of a researcher? It is very relevant, of course. Young people are the future of research, so we have to help them in many aspects. When you are a young researcher you have many setbacks and, sometimes, it is very frustrating and you feel very lonely. Competition is very high and can discourage you. My job is to help them and guide them in their work. It is very important that you feel supported. Of course it's on my priority list! Professor Eldad Tzahor gave the seminar “Novel strategies for cardiac regeneration in mammals”, at the CNIC invited by Dr. Miguel Torres.